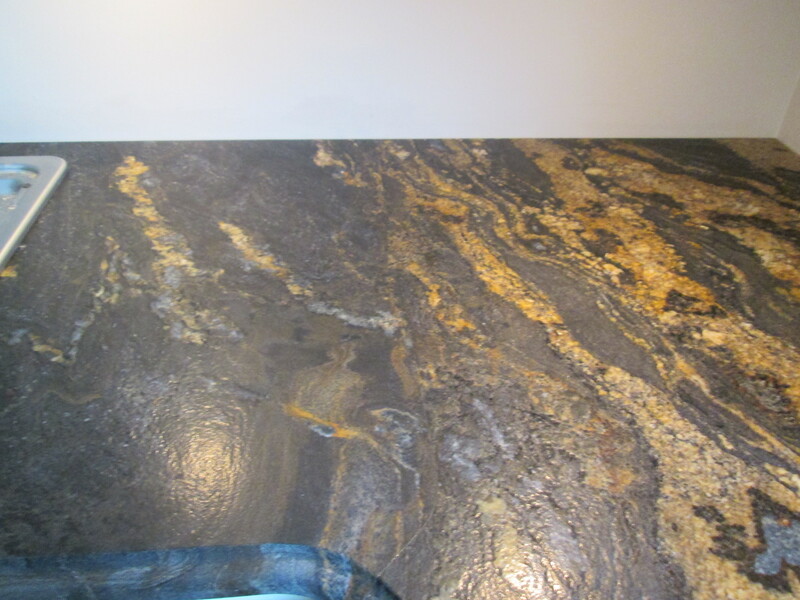 Custom perimeter with peninsula in Forest Fire granite in a Suede Finish with an Ogee edge profile. 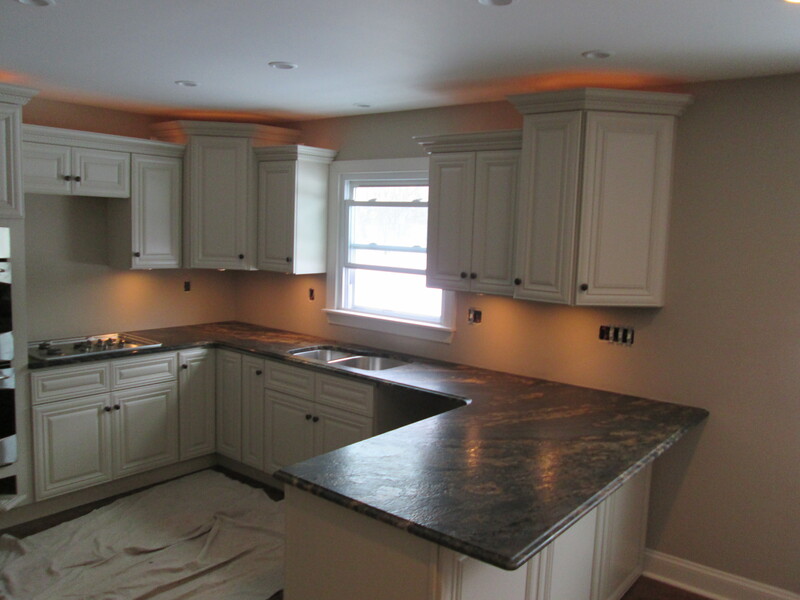 This custom counter top was installed in Antioch, IL. Shown above, you are able to see the Suede finish. 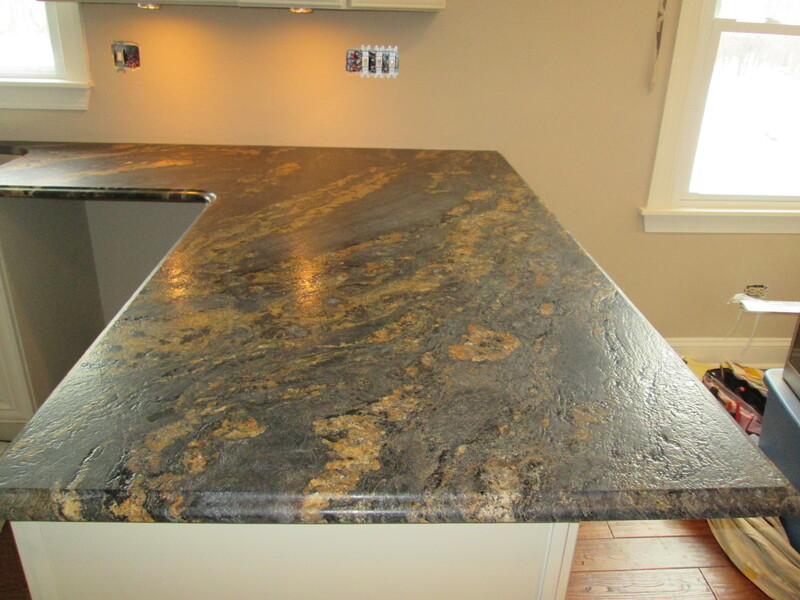 This finish is similar to suede leather and is a growing trend. It’s a softer look for a person with more subtle taste. This peninsula has a 10″ overhang to accommodate seating. Shown here is our Vacuum Seaming. At Crafted Countertops, Inc., we make sure that if there are any seams, they will be as invisible as possible while maintaining the continuity of the flow in the granite.